So your book is all finished! It’s time to sit back and take a breather. Now it’s time to go in search of beta readers–someone that reads your manuscript and gives you ideas. These individuals can be found just about anywhere, but I would steer clear of your family and friends. As much as they love you, they’re not going to want to give the “whole truth” about your manuscript. For instance, if you give your book to your mother, they’re most likely going to be polite and say they enjoyed it. On the flip side, they won’t tell you they didn’t connect with your main character at all. This is why it’s almost crucial to find a beta reader that is almost a complete stranger. They will give you the truth. And that’s what you want. So where do you go looking, then, if you can’t use family or friends? Well, first try your writing groups. These individuals are used to you sharing your writing. They have also, most likely, helped you improve your writing at one point or another. They would probably be excited to hear that you have officially finished your book. If you’re not comfortable sharing your book with the whole group, perhaps choose a few people in which you have connected. Give them hard copies of your manuscript or digital ones, while giving them a date in which you need it back by. In return, offer to read something of theirs and give them feedback. You may also find beta readers at online (or in-person) seminars or workshops. If you attend one of these, always have your writing projects with you. At some point, you’re going to be discussing your current work-in-progress. The leader may also encourage you to share it. While some groups require hard copies for every member of the group, it’s good to keep in mind that the feedback you’ll receive is invaluable. While some may connect with the characters, others may think the setting or plot needs to be strengthened. Of course, you don’t have to make all the changes, but it’s strongly encouraged. It’s important to note what your beta readers need to look for in your manuscript. First and foremost, they should look for grammatical errors. Is everything spelled correctly? Are words used in the correct context? For instance, you don’t want to say His book bag is over they’re. The sentence should read: His book bag is over there. Remember, spell check does not check any word that is spelled correctly. This is why it’s vitally important to proofread your writing several times. In this stage, the beta reader also wants to check sentence structure. Each sentence should be different lengths. It shouldn’t be a passive voice when it’s meant to be active voice. In addition, watch out for modifiers, direct and indirect objects, parallelism and anything else. Next, if the manuscript is fiction, really zoom in on every aspect of the novel. For example, make sure everything about Susie is consistent with her. You don’t want a fact about to Susie on page 2 to jump to Henry’s backstory on page 183. That would confuse the readers. Analyze the plot, action and setting. Make sure the conflict fits well with the characters or comment that it has to be stronger. Beta readers can’t change a book, but they can encourage the writer to make changes. Finally, at the end of the manuscript, it’s time for the synopsis. 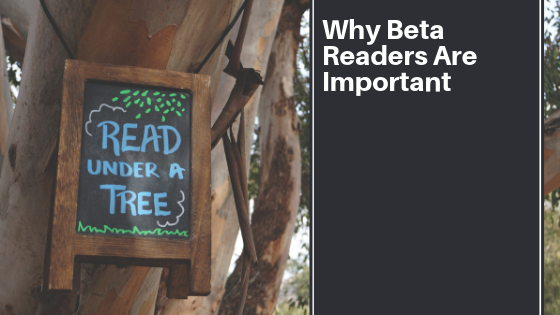 The beta reader should provide a separate synopsis for each chapter of the book. It’s their final chance to explain what they enjoyed and what they didn’t enjoy as much (and, of course, why not.) The more thorough they are in critiquing your manuscript, the better. This is their final moment to boost up the writer. Credit the author on their successful points of their manuscript. If you enjoyed their plot twists, let them know why. Also, give them helpful tips and examples on how to improve their writing. All this really matters and is going to help you grow your skills. So good luck. Good beta readers are out there and you’re sure to find the best!